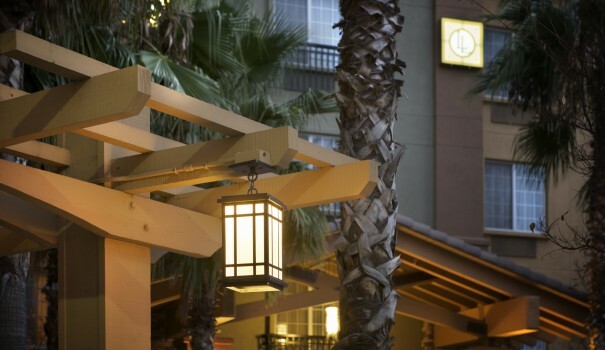 the Larkspur Landing hotel in Sacramento, CA. and separate living and sleeping areas at our Sacramento hotel. further than the Larkspur Landing Sacramento hotel! With an extensive array of complimentary services and amenities, Larkspur Landing Sacramento hotel is a comfortably inviting place to stay for both business and pleasure. Feel rested and relaxed in our all-suite room accommodations with fully equipped kitchen, spacious living room area, and plush bedding. And feel genuinely taken care of with such thoughtful touches as our free grocery shopping service and coffee and cookies, served up fresh daily. During your stay at our Sacramento hotel, discover California’s historic capital—often called America’s most diverse city. For those on business, we’re centrally located to the bustling downtown area and California State University Sacramento campus. And for vacationers wanting to visit everywhere from our charming Old Town to San Francisco or Lake Tahoe, we’re the perfect choice. No matter what brings you here, our staff always looks forward to welcoming you back at our Sacramento hotel—and your home away from home. In addition to providing luxurious all-suite accommodations, the Larkspur Landing Sacramento hotel is the perfect place to hold your next meeting or event. Plus, with our full range of amenities, you can be sure that every stay is as comfortable as home.